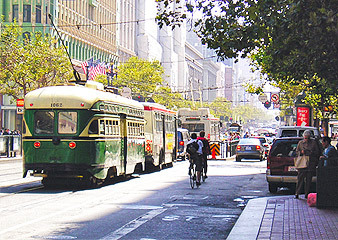 Ceremonial streets such as Market Street, Fulton Street, and the Embarcadero are grand civic spaces which serve as major gathering spots for marches, parades, and rallies, and serve as world renowned public spaces and attractions. Ceremonial streets should be uniquely designed in each case; they should exhibit a high degree of design consistency, formality, and care. Ceremonial streets are special streets, and should have unique, high-quality designs. 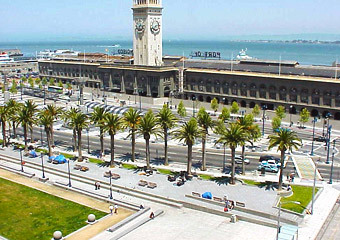 Ceremonial streets should use consistent, unique plantings, lighting, furnishings, and paving treatments. Ceremonial streets should have generous pedestrian and public spaces.